The FENCE Scissor Track System is designed to keep even fullness during both opening and closing of the curtain. The Scissor Track System’s modular design works for Tab and Traveler curtains. 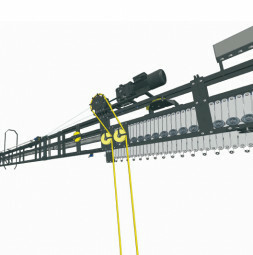 It can be used as a guillotine curtain as well with a stable, quiet running side guided track adapted into the existing fly system.